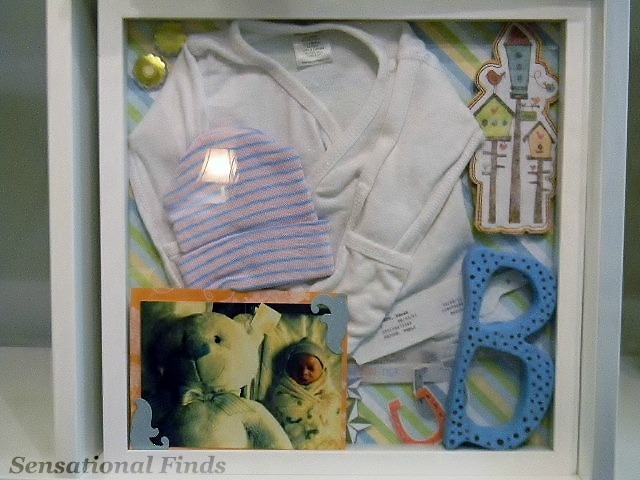 When I first saw this shadow box on Pintrest, I knew I had to make my own. I'm such a hoarder when it comes to sentimental things. Ever since my passed way when I was 10, my family always kept things that had sentimental value. So of course I kept all Baby B's things from the hospital. 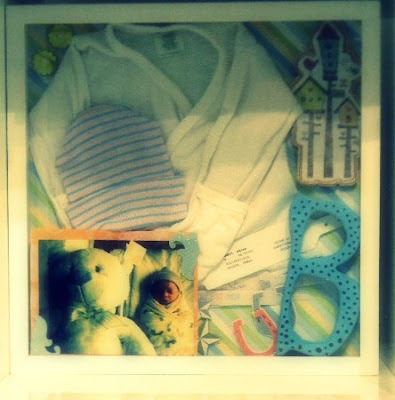 Using the shadow box, not only lets you display your items, but you can keep them away from dust and dirt. I hope to one day give it to Bobby, but I'm not sure if boys are into that kinda thing. What do you think? Well if he doesn't want it I'll just keep it forever! Here's how I did it. You'll need everything pictured below. Next I cut my card board to fit the decorative pieces. Then I hot glued it together. This helped it pop out and not just lie flat on the paper. Now your going to glue or pin your keepsakes to the paper. I hot glue mine and that worked fine. If you don't want to ruin your items you can pin them to the paper. I used the shirt and hat they gave us in the hospital, as well as mine and his bracelet's we wore. 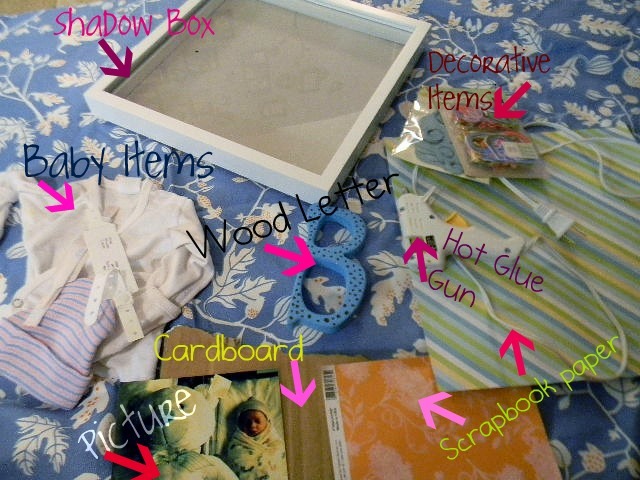 You should now arrange the letters, pictures , and decorative items how you'd like. 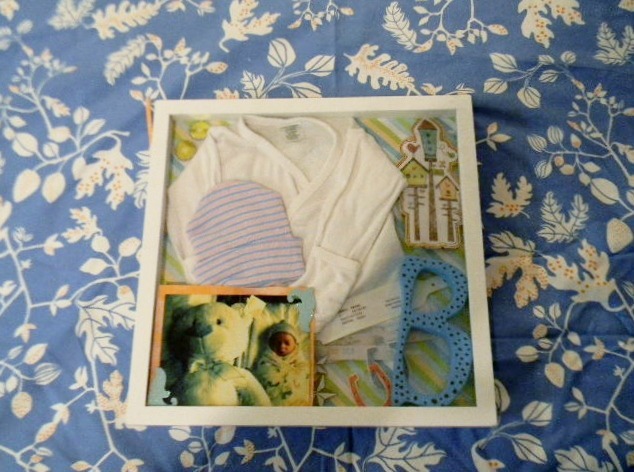 I just placed the letter and picture in the box, and glued the other pieces to the paper. The letter I had but you can find one at any craft store for a couple dollars. 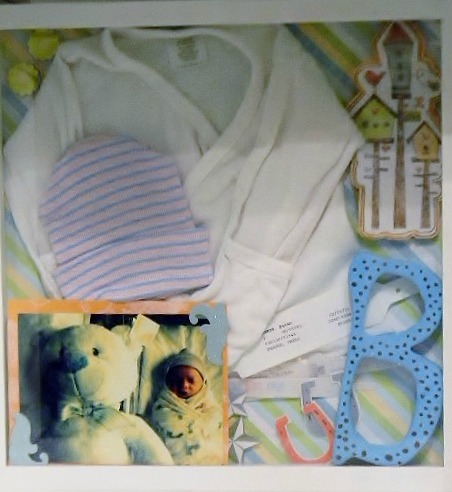 I hope you like it and use your saved baby items to make something pretty. If your new please subscribe, because that would make my day! This is such a great idea! It came out great! I'd love it if you'd share this at Whimsy Wednesdays at www.thenymelrosefamily.blogspot.com/2012/03/whimsy-wednesdays-2.html. 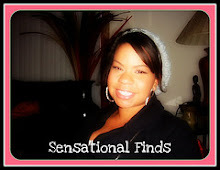 I'm following through bloglovin. Thank you so much for sharing this at Whimsy Wednesdays. I can't wait to see what projects you share this week! Glad I found this post. It’s really awesome. I've been thinking about this topic. You have provided the most simplest but informative and helpful ways about keepsake baby gifts.Thanks for sharing such a nice post.